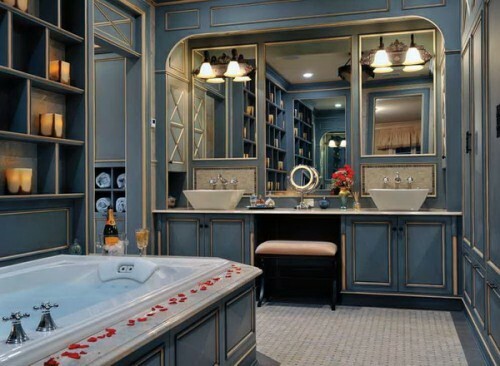 It's hard to contemplate the best way to store all the stuff that we try to cram into our bathrooms. From necessary items like towels and toilet paper, to the piles of products we use, to decorative elements, the smallest rooms in our houses have a big mission. This is challenge enough in an average sized house, but what can you do about storage when you live in a small apartment or end up with an extra small bathroom? Don't worry - home designers have been coming up with some incredibly innovative solutions to this all too common problem. Install a ledge shelf: Consider installing a ledge style shelf above your sink and under your mirror. It doesn't take up a ton of space, but it creates flat surface to scatter products, brushes, shaving cream, and the like while you're getting ready in the morning. Turn your door into another wall: By using a little magnetic paint, you can create a surface to attach everything from hand mirrors to towel bars. This can also be valuable space to attach magnets and other funky decorations to give the small space some flavor. Mirrored storage: If you need more storage space and you need options for looking in the mirror, consider checking out mirrored storage. Shelves can be combined next to wall mirrors, and cabinet doors can be affixed with mirrors to help achieve two goals at once! 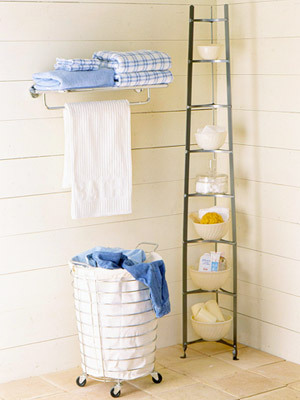 Get creative with towel storage: If shelf space is at a premium, several fun ideas are floating around on where to keep the towels (and they're way more creative than a towel bar on the back of your door!). Pegs beneath a ledge shelf or shelving unit are a great way to go. You can also repurpose a coat rack for a towel tree: the slender body fits easily in a corner while providing ample storage. Hanging baskets: If wall space is plentiful even though floor space is limited, consider hanging baskets. 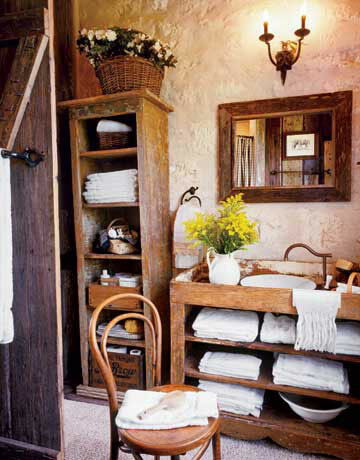 Wooden baskets or woven baskets can be hung from pegs on the walls and hold hand towels, soaps, and bath products with ease. Think in tiers: Tiered storage can help you make the most out of what space is available to you. A plant stand in the corner can be converted to provide four or five levels in a tight corner. If you are yielding precious counter space to a bowl, why not seek out a multi-level bowl and maximize your vertical reach. 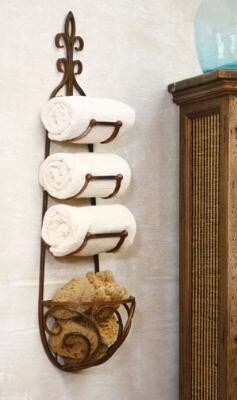 Convert a magazine rack into a towel holder: Towels can be some of the bulkiest things to store. Remember those multi-pocketed magazine racks in the doctor's office? A simple paint job can easily convert them into something you can hang on the wall and stash some hand towels and bath sheets. Look over the toilet: Over the toilet may not be the most obvious place to look for solutions, but shelving and towel racks can easily be installed there. 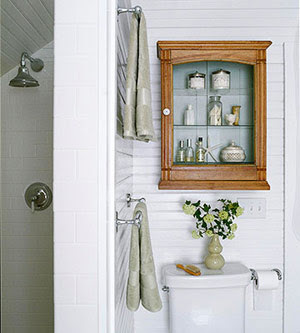 You can even add multiple layers of storage, or add a second DIY medicine cabinet to make the most of the space. Pull-out shelves: Pull-out shelves are a clever way to take advantage of vertical space and create more storage, without the first thought a visitor has being "wow, they've really optimized this for storage!" It's subtle and sleek, and it gets the job done. 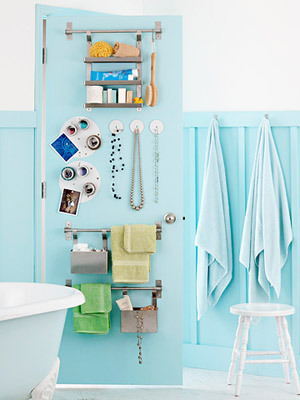 No matter how tight your bathroom, with a bit of ingenuity and planning, you can turn your tiny space into a storage giant! What's your favorite small room storage solution? About the Author: Jerry Davidson is a father of two and a home improvement fanatic. When he’s not revamping his own home, you can find him reviewing products for door companies in Chicago. Here's another necklace I made with the tricotin...do you like it? Its really addictive this thing..
And for all of you, who didn't know...here's is my little wonder! almost 4 months, time flies and I love him even more. Finally my family is complete: my 3 men and I.
I've been a bit silent lately but I was working on few printables for you. 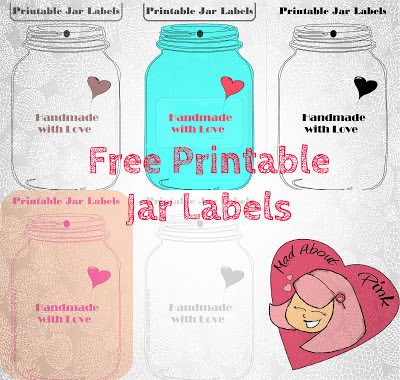 I adore jars of any sorts to usa as storage, display, vases therefore I created some cute printable tags for you! 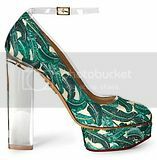 To get them is very simple. Follow my blog and email me to let me know. I'll send them to you by email in different versions (including a moustache one :-)). If you wish me to add something on them, fell free to ask,just give me some times. I made those labels as tags for my handmade items and the result is fantastic.